Every time that I go to post a new calendar and we're already several days into the month, I consider just skipping it. But the part of me that needs things to be complete just can't do that. 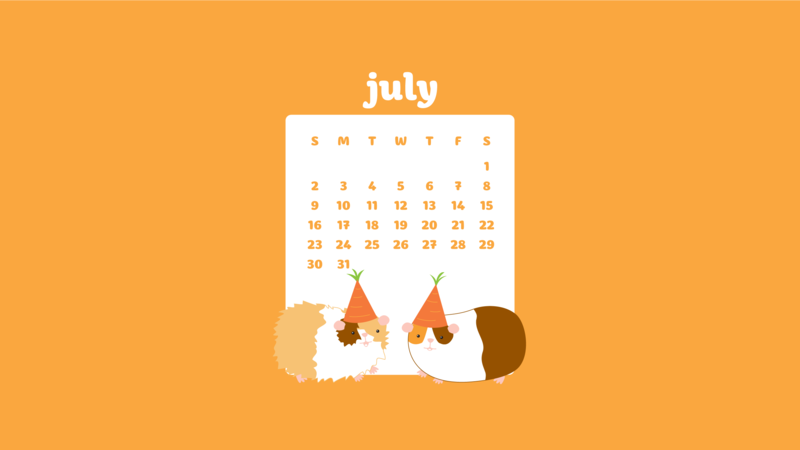 So here we are on July 3 with a new guinea pig wallpaper. 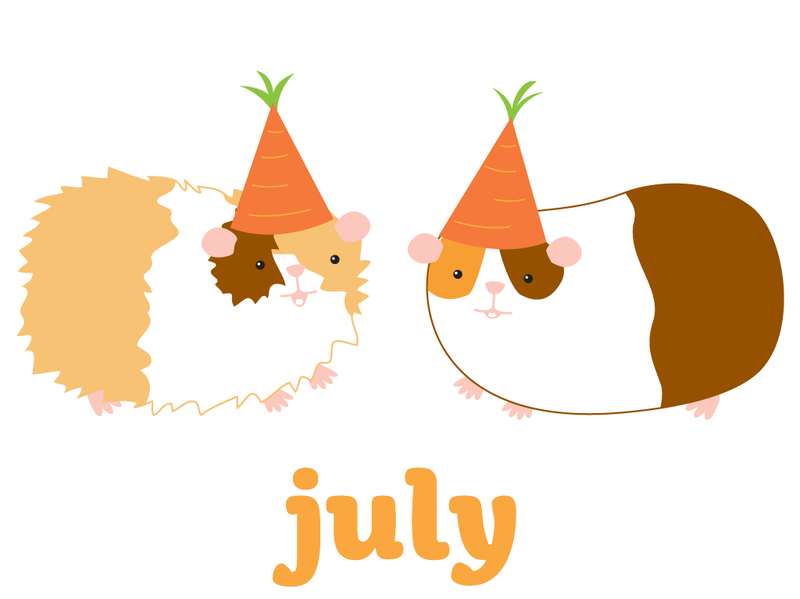 If you're wondering why Captain Cuddles and Lieutenant Nibbles are wearing carrots as party hats, it's because they are celebrating a special day this month. 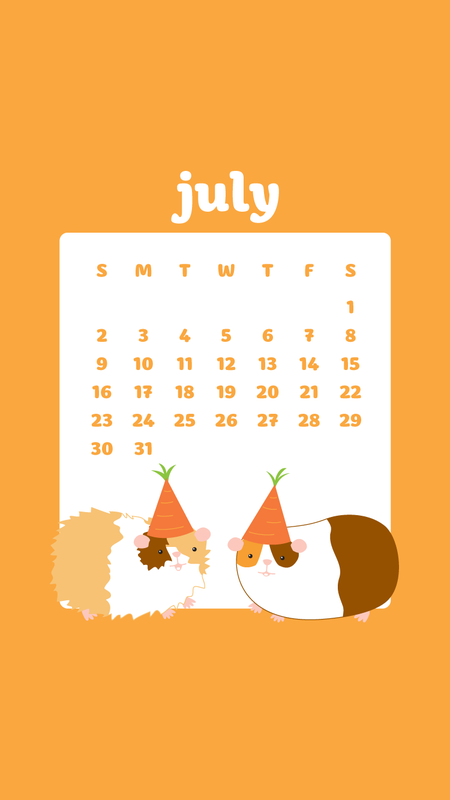 July 16 is Guinea Pig Appreciation Day, and that felt like something to celebrate. 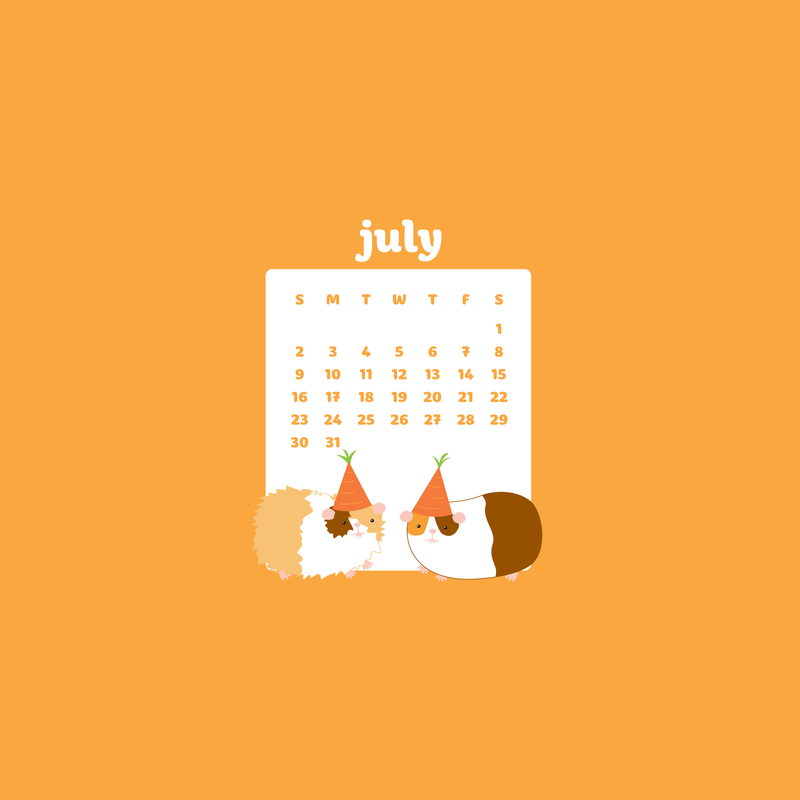 They love carrots, so that seemed a good choice for hats. 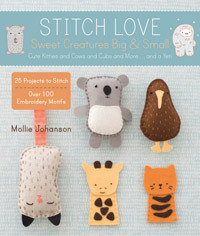 They may start snacking on them later. These wallpapers will fit most devices, so download and appreciate a guinea pig or two! 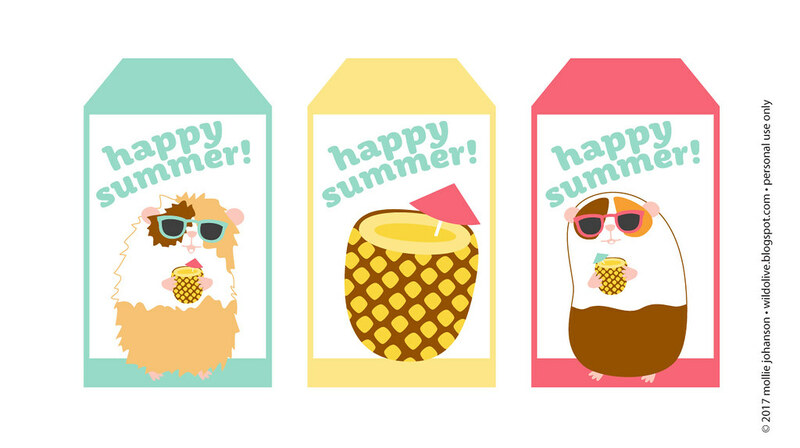 I also had a request for making last month's summer-loving piggies into a printable, so I set up a 5x7 print and some Happy Summer tags. My mom likes to think that once we hit July, summer is over, but I refuse to accept that. There's still plenty of time to enjoy the sun or at least sip a fruity drink in your backyard. 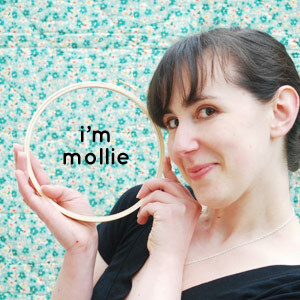 Mollie u r great. Words fail me.I known i won't get any response but let me tell you that ur work has brought cheers to a depressed life. God bless you.